An industry body mainly representing coal mine workers is devastated to learn the number of Queenslanders diagnosed with black lung disease has reached an all-time high. More than 100 Queenslanders now suffer from mine dust lung diseases, such as black lung and silicosis, according to the mining and energy division of the Construction, Forestry, Maritime, Mining and Energy Union (CFMEU). CFMEU called the trend a “shameful milestone” and blamed inadequate processes to diagnose workers for hiding the true number of black lung victims, which he thinks is much higher. “Factors such as the use of labour hire firms, with employees cycling through different mining sites, and a fear among casual workers that they will lose their job if they are diagnosed, means that we are only scratching the surface of the mine dust disease epidemic,” CFMEU Mining & Energy Queensland district president Stephen Smyth said in a public statement. 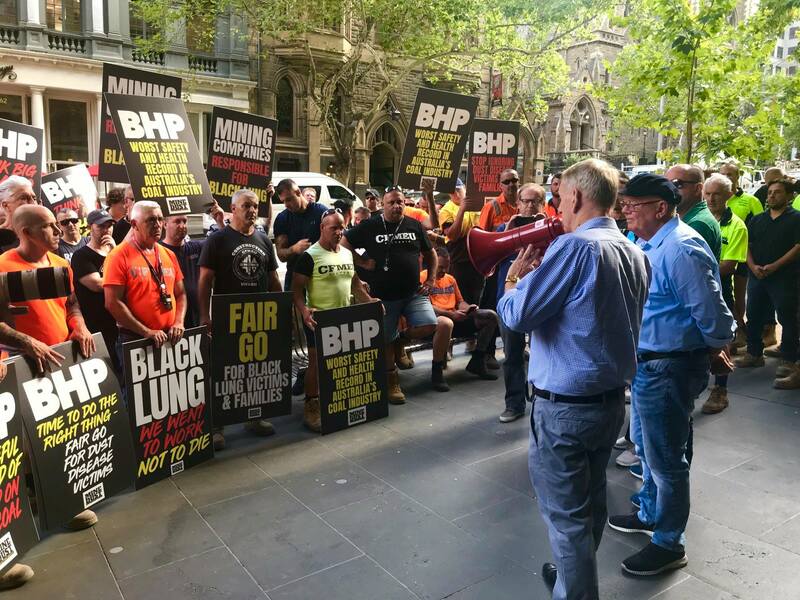 The remarks come after members of the Mine Dust Victim’s Group in February visited BHP’s head office in Melbourne to ask for a one cent levy per tonne per week on Queensland coal production, to fund long-term support for victims and their families. CFMEU is accusing BHP of having the highest number of cases where employees have been diagnosed with dust disease to date. BHP representatives did not to meet with the group members. Mackay black lung patient Steve Mellor said the existing medical treatment provided in Australia is simply not good enough. Former coal miner and Queensland State MP Jim Pearce said mine dust victims will not accept mining giants that choose to ignore black lung victims while reaping “enormous profits” from their workers. BHP produced an attributable 60 million tonnes of coal in 2018 according to the CFMEU.